I normally wouldn’t take the time to review a live album – they’re not designed to grab any new fans. But I happened to see Andrew Jackson Jihad on this tour. Not this show, as it was recorded on their last night, in Phoenix. But I saw them at Europa in Brooklyn, days after Hurricane Sandy. The show was originally scheduled for Manhattan, but the southern portion of the borough was still without power. It was kind of an emotional time, and one that the band mentions numerous times on the album as the tour’s “dark days.” We were late to the show because public transport was a mess. We missed the opening bits of the appropriately-timed “Hurricane Waves,” from opening act Jeff Rosenstock (singer for my second favorite band, Bomb the Music Industry!). Future of the Left came on second, and for a third time proved themselves one the best live bands in all of music (I had previously seen them earlier that summer, and once opening for Against Me! way back in 2007). Jeff’s do-whatever DIY, FOTL’s political noise-punk and AJJ’s folk-punk never seemed like a logical line-up, but it was three great bands. It only makes sense that the band would record their live album on the last stop. The band is a little worn-out and had experienced some unexpected dark days on the tour. And at one point, during “American Tune,” both the guitar and vocals cut out. After “Bad Things,” rude fans start requesting songs they know. It makes sense. 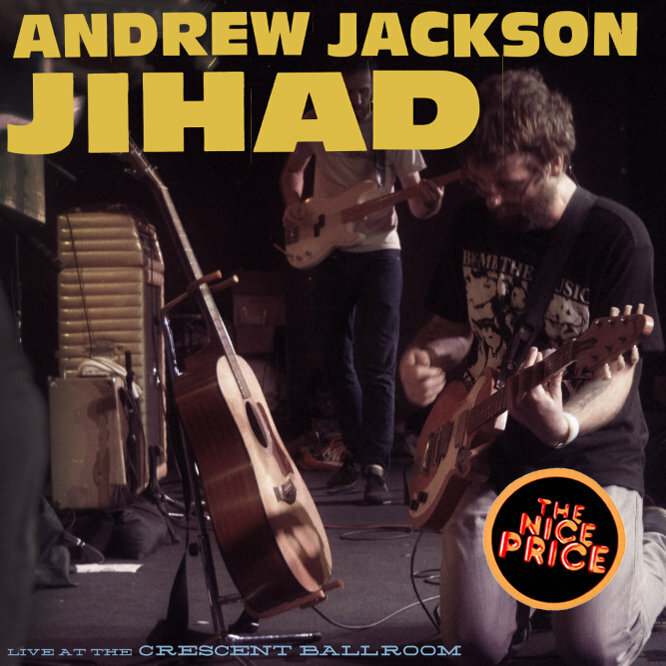 Andrew Jackson Jihad has never shied away from ugliness in their music – “Back Pack” is about finding your loved one murdered, carrying her into town and wondering what her life could’ve been. It’s an imperfect show for a band that isn’t remotely looking for approval or purity. They spend a lot of time in between songs chatting, which can be a little cumbersome for a listener. But they have to, they were doing constant guitar switches. At the end of “People II 2: Still Peoplin’,” the band has to play an extended note so the singer can switch from acoustic to electric for the final ten seconds. The album is surprisingly long, but they pack it with enough familiar songs to make it a very satisfying listen. With typical folk-punk, it’s fast, it’s messy and it’s got deeply unsettling lyrics. This live album won’t gain any new fans, but it is a great pick-up for current ones. Andrew Jackson Jihad is one of my favorite bands, and to have a record of the tour when I saw them is kinda special.